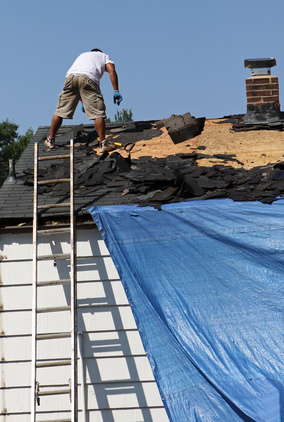 Ladders are an essential part of a roofing contractor’s equipment but ladders remain the single biggest cause of falls from height accidents. That’s because ladders are not especially stable. For one thing, the ground isn’t always level and the sufrace on which the ladder is being placed against most often has very little adhesion to hold ladders firmly in place. Add to that ladder users taking shortcuts whilst at the top of a ladder and the results can be disastrous. No roofer should be without Ladder Grips, the revolutionary ladder safety device which improves ladder stability by up 350%. What’s more, Ladder Grips are small enough to pack away in your toolbox once the job is done.